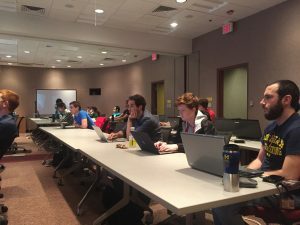 The Graduate Certificate in Computational Discovery and Engineering trains graduate students in computationally intensive research so they can excel in interdisciplinary HPC-focused research and product development environments. The certificate is open to all students currently pursuing Master’s or Ph.D. degrees at the University of Michigan. This year we will offer a new practicum option through the Multidisciplinary Design Program.